What makes Idaho fly-fishing so spectacular is the scenery. Henry's Fork and Silver Creek are two of the most well known rivers in the state. The beautiful mountains and wonderful desert canyons are full of fish. There are so many beautiful places it would be impossible to cover them all. The northern part of the state is beautiful and there are wonderful streams, ponds, and lakes. Not all of these areas will produce the "monsters", but when it comes to beauty it is hard to beat. Whether you are a fly fisher looking for steelhead, trout or salmon, Idaho is a great place to fish. There are many areas that produce fish over 24”. Because the overall population, these wonderful streams are not fished as much as other areas. From grassy flat lands, to mountain lakes, from desert river’s to the wild mountain streams there is plenty of fishing to go around. Here is a brief list of some of the better fishing areas in Idaho. Of the many streams in Idaho, Henry’s Fork is the most well known because of how productive it is. People come to Henry’s Fork from all over the world because of how great this area is. Kelly Creek begins in the Clearwater National Forest along the Montana border and flows towards Lewiston. The river is full of wild Cutthroat Trout that provide fly fishermen a great experience. The river has miles and miles of great fly fishing as it winds through some very small Idaho towns. Jackson Hole Wyoming is a great travel destination near the western border of Wyoming. This is a popular location in the summer months and the winter months, there is always something to do. This area is in the center of some of the best fly fishing in the northwest. 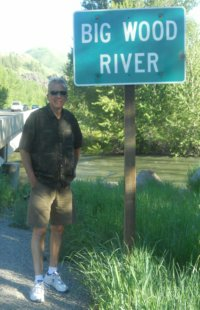 Great rivers to the north in Montana, west on Henry's Fork and to the Green River in Wyoming and Utah, makes this a great location. Silver Creek is the most well known fishing stream in Idaho for the advanced fly fisherman. Make no mistake, this is not a stream for a beginner. The water is very clear, and the fish are wary. Only the best of presentations will net you a fish. So if you think you are good, you may just want to prove it. 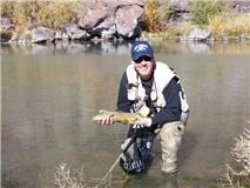 Located in central part of the state, near the resort destination of Sun Valley, the Big Wood River has some great fishing. The Rainbow Trout through out the river are plentiful. This is a classic trout stream with runs, pools and riffles and it is easy to wade. There is great access at the various bridges and the bike trail that runs for miles next to the river. Located near the resort town of Couer d'Alene the St Joe river has northern part of the states best fly fishing. Starting in the mountains near the town of Avery. Joe the river has great fishing for Cutthroat, Rainbow and Bull Trout. Throw in a few Whitefish and you will keep yourself busy on this stream. This is a remote area so be sure you have plenty of fuel, food and water. 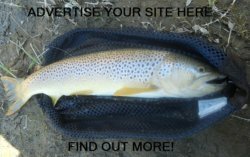 Idahoflyfishers.blogspot.com is an Idaho fly fishing blog encouraging free membership in the Idaho Fly Fishers Association and facilitating interaction among its members by fly fishing together and sharing each other's home waters and fly-fishing knowledge. We offer articles about fly tying, technique, experiences and suggested destinations in the northwest. We have some beautiful photos as well. 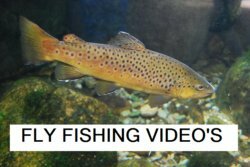 This is a great resource for fly fishermen in Idaho. Become a teacher in Idaho: Access up-to-date information and learn the current requirements for earning Idaho teacher certification online.